We’re excited to offer The SLS Brickell hotel as a hospitality package option for your Super Bowl 54 experience in Miami Florida. 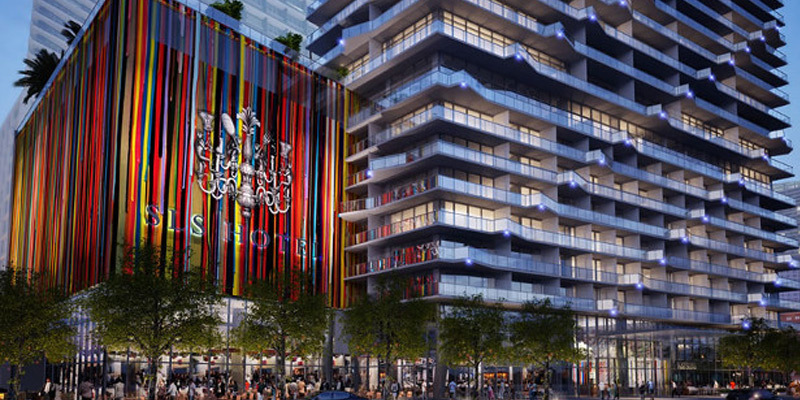 SLS Brickell is in the heart of Brickell. Walking distance to the NFL Experience, drive over the causeway bridge and you are in South Beach. Rooms at SLS Brickell luxurious Miami hotel offer chic amenities, luxury linens, modern accents, and beautiful balconies with spectacular views of the city and waterfront. 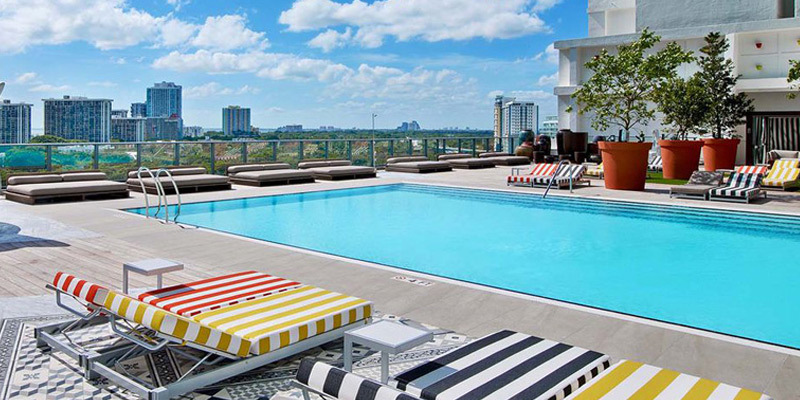 SLS hotels are currently open in Beverly Hills, South Beach, Brickell, Las Vegas, and The Bahamas and define luxury. A dynamic dining destination Super Bowl Weekend, SLS Brickell harnesses the design genius of Philippe Stack and culinary expertise of James Beard Award-winning Chef José Andrés and Chef Michael Schwartz with the restaurant openings of Bazaar Mar and Fi’lia. Blending world-class decor, world-renowned cuisine and “the scene” akin to SLS, you can experience the best Miami dining experiences to right in your Super Bowl hotel! Admission into the Players Super Bowl Tailgate party. The Super Bowl Tailgate includes: Open premium bar, 5-star food menu created by celebrity chef Guy Fieri and 25+ active NFL players in attendance. The Tailgate pre-game party starts Sunday, 2:00pm – kickoff. *The phrase Super Bowl is a registered trademark owned and licensed by the National Football League. SuperBowlTicketsAndHospitality.net is not affiliated with, supported or endorsed by the NFL in any way. Our use of the term is for informational purposes only.